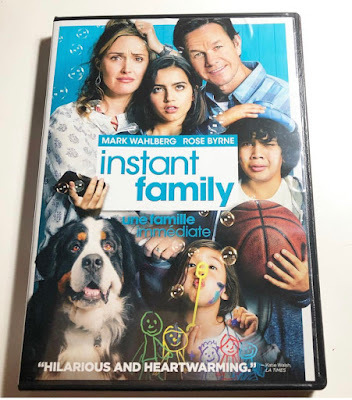 This was a fun, heartwarming movie that shows the different sides of foster parenting and adoption. It was different than what we usually watch when it comes to family movies but very enjoyable! 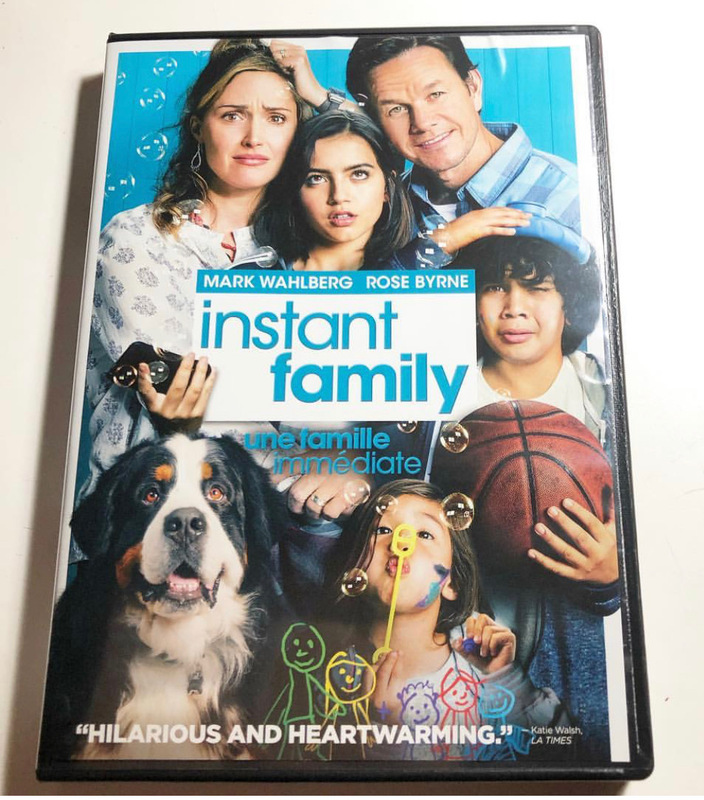 Bring Instant Family home on digital and Blu-ray™ Combo Pack! 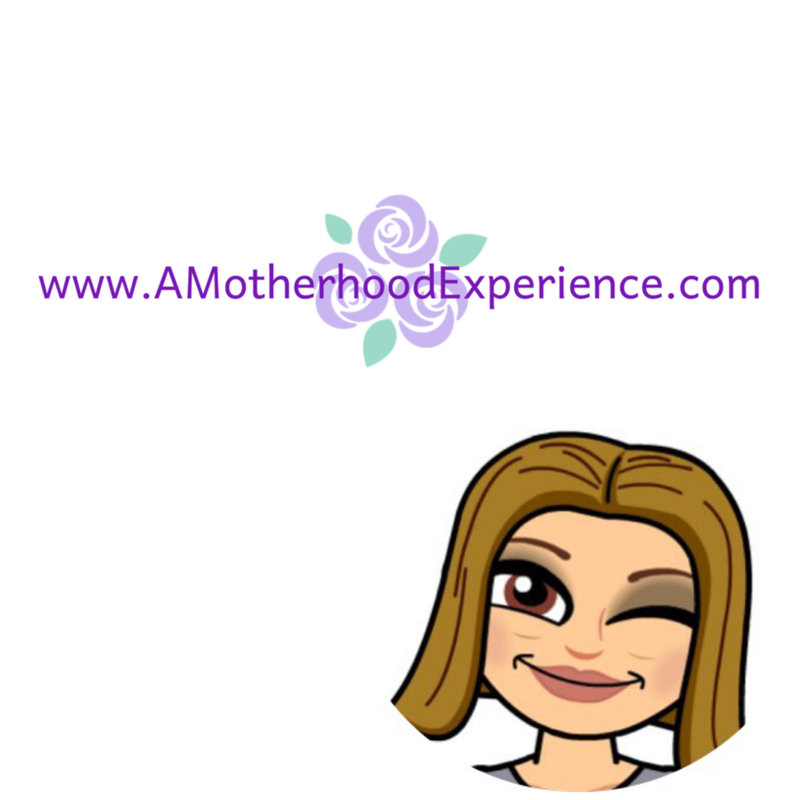 Follow Instant Family in social media: Facebook, Twitter and Instagram! We received a complimentary movie from Paramount Home Media Distribution in exchange for this feature. Opinions and comments on this blog are those of the author. 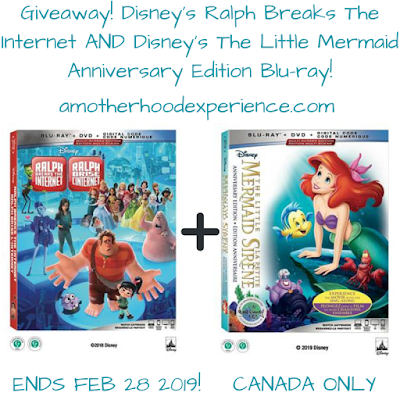 Disney's Ralph Breaks The Internet AND Disney's The Little Mermaid *anniversary edition* Giveaway! 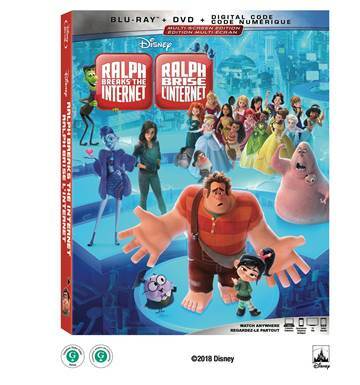 Ralph Breaks The Internet: In the hilarious, highspeed sequel to 2012’s Oscar®-nominated “Wreck-It Ralph,” video-game bad guy Ralph (voice of John C. Reilly) and fellow misfit Vanellope von Schweetz (voice of Sarah Silverman) risk it all by traveling to the expansive, fast-paced world of the internet in an action-packed attempt to save Vanellope’s game Sugar Rush. 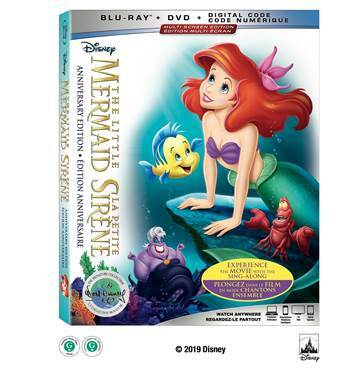 The Little Mermaid: In honour of its 30th anniversary, two-time Academy Award®-winner (Best Original Score and Best Original Song “Under the Sea,” 1989) “The Little Mermaid,” dives into the highly celebrated Walt Disney Signature Collection with all-new bonus features and a sing-along mode. The magical, musical tale of mermaid princess Ariel is shore to make a splash with all generations. Both of these great Disney movies are available now digitally in HD and 4K Ultra HD and on 4K Ultra HD and Blu-ray™ on Feb. 26. Enter using the ballot below for your chance to win BOTH movies! Must be 18+ Canadian resident to qualify. One winner will be chosen at random on or around February 28th, 2018 and emailed accordingly. Thank you and good luck! Bring Home These Fluffy New Friends From Little Live! 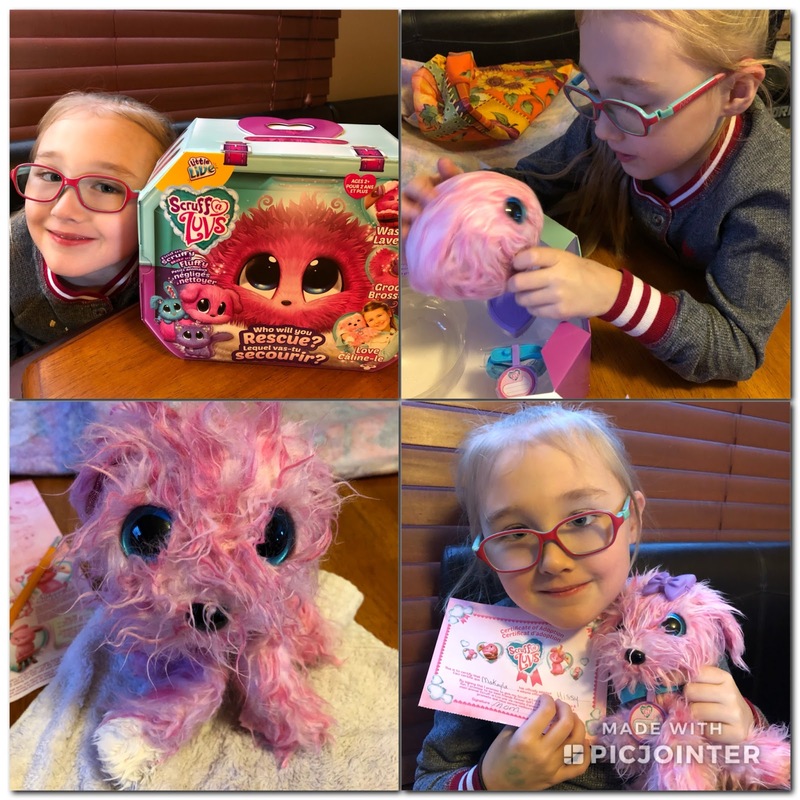 From the makers of Little Live Pets come two new fun and furry friends for kids (and kids at heart) who love plushies and little fuzzy critters! Scruff a Luvs are unloved pets that come to you in a sad ball of colourful fur. After you wash, dry, pamper and love them, you will find out what kind of pet they really are; a kitten, a bunny or (what we got) a puppy! Each pet comes with accessories (brush, collar, bow and adoption certificate) and the box doubles as a holding case for your new pet! Miss M was fascinated by the process. I thought for sure after putting the stuffy underwater that it would be sopping wet for hours but it seems I was wrong. It dried in no time with the hairdryer and Miss M was pleased with the result of her new pink puppy she named "Missy"; welcome to the family! Wrapples are the cutest "Furry Best Friend" you'll ever connect with! Wrap them on your wrist and take them anywhere. They love a pat and interact as you chat, play and get carried away! Slap their "slap-band" tail on your wrist and take them with you! These adorable little friends have over 50 sounds and reactions! 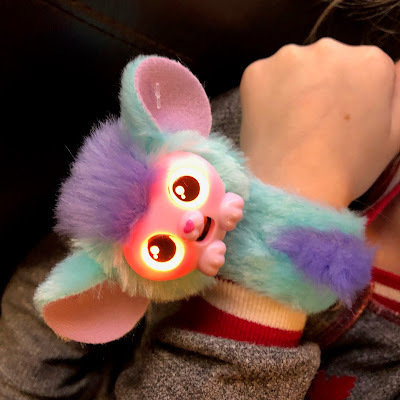 Watch as they come to life on your arms. Their big eyes light up to match their mood. Wrapples love to talk to you and to each other! They love to be pet and tickled. Hear them giggle and purr! Bring them close to each other and they will sing together! Hang them upside-down and they will go to sleep! Miss Ms new Wrapple pet is named Shylo due to her shyness but with a little love, her eyes were glowing green in no time! Really cool interactive furry friend to get! You can find these and other great Little Live toys at your local retailer for under $30! Follow Little Live on social @RedPlanetGroup (Instagram) and https://m.facebook.com/littlelive.canada (Facebook).